Been waiting for this to hit. pft, call me when they have boat play. LOL, the AVH-4000NEX actually looks like a cool upgrade from my avh-p4200dvd... except that I have a pioneer IP bus XM tuner that I bought used and keeps on pumping out the tunes. Since Pioneer abandoned the IP bus it'd mean giving up my "free" xm. I think the NEX line is getting iDATALINK that will handle the sync. Might be worth checking into. If you haven't used a iDatalink Maestro piece in a Ford, you're missing out! Works flawlessly...I'm not a huge Pioneer advocate but these decks are lookin' alright. Still an Excelon kinda guy. Finished the install today. Gaining a backup camera is almost worth the effort all by it's self. CarPlay, when it hits, will only work through the Lightning cable so I installed a PAC USBCBL in my armrest cubby. 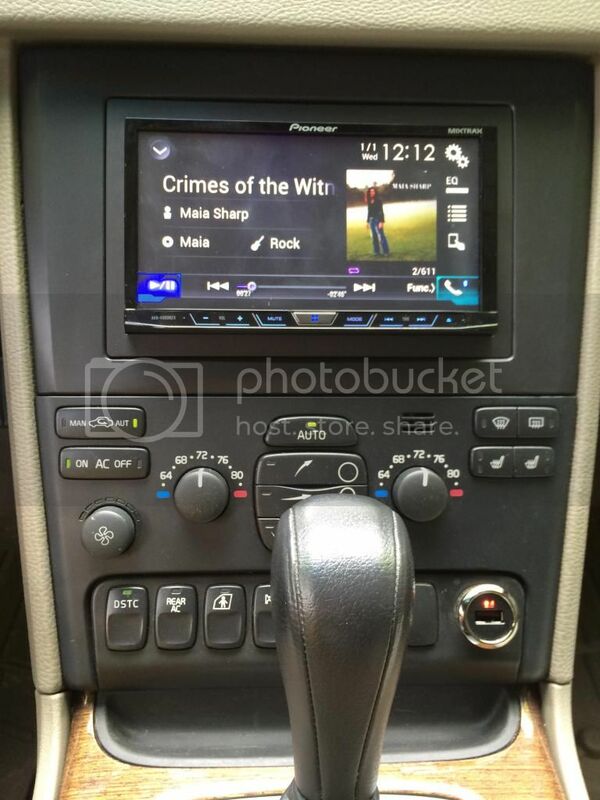 The AVH-4000NEX is 10X's better sounding than the 2006 Volvo "premium" audio. Time alignment makes a huge difference. This is true and not cheap. I have a TR7 I'm willing to sell if interested. After iOS 8.1 and Pioneer's second attempt at a firmware upgrade I finally felt brave enough to try it. Please keep us updated. My wife isn't happy with the Nav in her car and has been considering upgrading. My big complaint is how it still required a hardwired connection (just like the AppRadio feature). I would rather it connect via wireless or Bluetooth (not sure if Bluetooth standard would allow for this and/or have enough bandwidth though). It would be great to keep my phone in my pocket, fire up the car and have everything I need right at the screen. It is a pain to get your phone out, cradle it, plug it in just to take a short trip down the street. 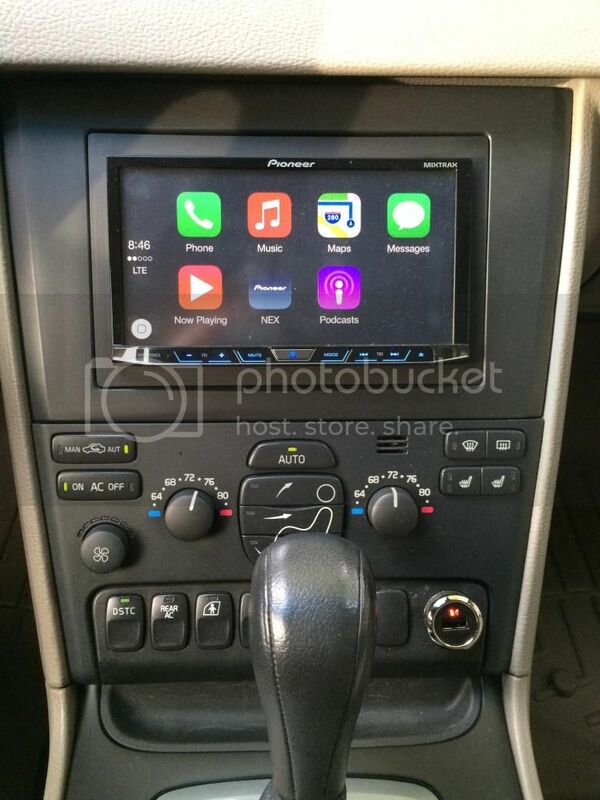 Also curious about how the NEX handles CarPlay and AppRadio. Do you switch between the two? Does AppRadio go away? I'd like to know which is working better once you play with it for a bit. Been playing with CarPlay for a couple weeks now. Overall I'd have to say it's a little half baked but there are signs of promise. As a side note, I got to play with an APP RADIO 4 the other day. Essentially a 4000 with a much prettier face but mechless and no RSE. I would say the APP 4 is "as if APPL did a HU", very nice. I've had a problem with the 5S connecting with the 4000 via BT. Always connects for phone operations but the A2DP part seems a little confused. Also you get no artwork in BT. So I fired up an old Touch and I have that as my default short trip audio source. Phone calls still BT. Benefit is quicker playback time upon start-up and I get my artwork. Downside is maintaining a rather active database of tracks. On long trips or if i'm on a new adventure and need NAV, I just switch cables and plug in the 5S. I'll probably add another USBCBL at some point. You unlock the phone, hit OK on the disclaimer (every F**king time) and then you're all set. Searching within the Map App is just as stupid as ever. Better to search in Safari and then transfer the destination to Maps. The thing it took me the longest to figure out was EVERY audio source has it's own volume. iPod1, iPod2, Siri guidance, Siri search/text read back, BT audio, BT calls. Took me a minute to figure this out because the menu isn't that intuitive. Especially Siri Search, that's considered "alerts" and is on a tab way over on the lower right corner. The biggest problem I have with Maps is no speed limit posting.